Wisconsin Badger wide receiver coach Zach Azzanni, has been reported to take a wide receiver coaching position at Tennessee, according to a source close to the Wisconsin football program. 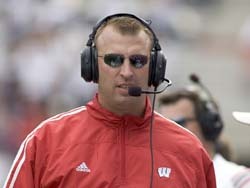 The source says Azzanni will leave the Wisconsin team after the Rose Bowl takes place on January 1. Nothing is certain yet, as the deal has not been confirmed by Tennessee. According to Tom Mulhern of the Wisconsin State Journal, Azzanni has shown interest in remaining at Wisconsin, but Azzanni says it’s not easy to sit and wait for a new head coach. “If I don’t get an opportunity to stay here, this will be my sixth house in five years,” said Azzanni in an interview. The search for a new Wisconsin Badger head coach, and now wide receiver coach, continues as the Badgers take on Stanford in the Rose Bowl. The Wisconsin Badgers have solidified their spot in the Big Ten title game by blowing out the Indiana Hoosiers 62-14 in Bloomington on Saturday. They will face 14th ranked Nebraska Cornhuskers or the 21st ranked Michigan Wolverines. The Badgers (7-3, 4-2 Big Ten) racked up a school-record 564 rushing yards against the Hoosiers (4-6, 2-4 Big Ten). Junior running back James White rushed for 163 yards on 14 carries and had two touchdowns. 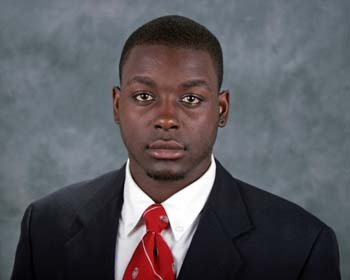 Senior running back Montee Ball rushed for 208 yards on 27 carries and three touchdowns. Senior quarterback Curt Phillips, in his first collegiate start, threw for only 41 yards and a touchdown, but added 68 yards on the ground. Bielema’s plan was to keep the pressure off Phillips, but was impressed with the senior quarterback. Montee Ball scored three rushing touchdowns, including a 67 yard touchdown, to help lift the Wisconsin Badgers (5-2) over the Purdue Boilermakers (3-3) 38-14. This win moves the Badgers back above the .500 mark in Big Ten play at 2-1, while the Boilermakers fall to 0-2 in conference play. It also puts the Badgers in the driver’s seat in the Big Ten Leaders Division to get to the Big Ten title game. Wisconsin has a 2-game lead on Purdue and both Ohio State and Penn State are ineligible to play in the title game. Badger quarterback Joel Stave completed 12 of his 21 passes, with a touchdown and an interception but the hero on this day was Montee Ball. Ball rushed for 247 yards on 29 carries with three touchdowns. It’s the 4th 100 yard game of the season for Ball and the 20th of his career at Wisconsin. Ball also scored his 72nd touchdown, which sets the all-time Wisconsin and Big Ten record for career rushing touchdowns. Ball passed Ron Dayne (71 td’s) to take over the top spot. The Badgers as a team rushed for more than 400 yards in a game for the 16th time in school history. The 467 yards rushing is the 5th best in school history. The Badger offense rolled up 645 total yards, which is the second highest total in school history. The top single game total is 705 yards against Indiana on Oct. 16, 1999. Head coach Bret Bielema also earned his 65th career victory at Wisconsin, tying him with Phil King for second place on the all-time victory list at Wisconsin. Barry Alvarez has 118 career victories. The Badgers next face the rival Minnesota Golden Gophers with Paul Bunyan’s Axe on the line, this coming Saturday at Camp Randall.